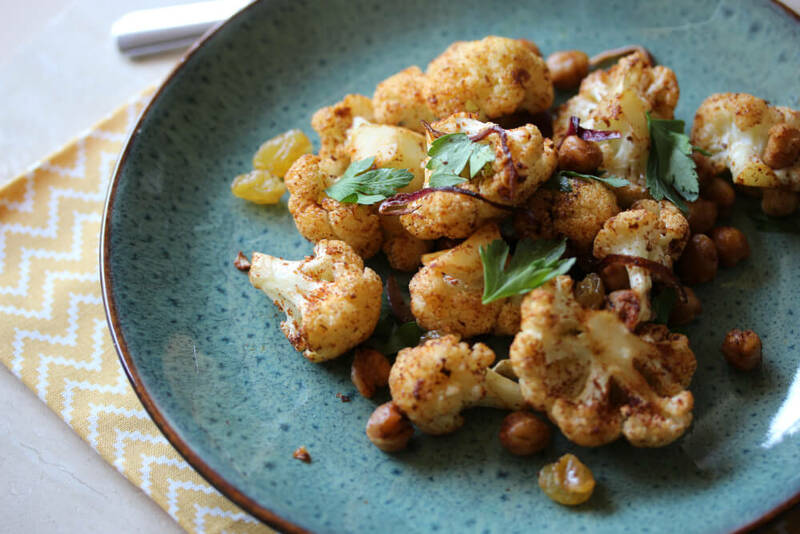 If you're looking for a delicious side dish, this roasted cauliflower with spices recipe is excellent. 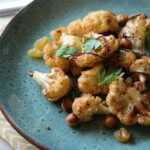 You will need a pestle and mortar to grind the spices before adding them to the cauliflower. The advantage of doing this, rather than starting out with ground spices, is a much fresher flavour. Always grind your spices fresh if you want the best result! This roasted cauliflower with spices is so tasty and it goes with anything from chicken or pork to seafood, fish or a curry. You can adjust the amount of chillies if you are looking for a milder flavour or serving this to kids. Although some people blanch the cauliflower before roasting it, you really don't need to, since it doesn't affect the texture. 2. Toss the cauliflower in the butter and olive oil. 3. Grind the chilies and spices with a pinch of salt using a pestle and mortar. 4. Add in the almonds. 5. Toast this spice mixture in a dry frying pan or wok for 2 minutes. 6. Add the cauliflower and cook for 2 minutes. 7. Add the lemon juice and zest and stir well. 8. Cook for 1 more minute, then transfer to a baking sheet and roast in the oven until the cauliflower is tender. 9. This should take about 15 minutes.